Hundreds of protesters angry at the government’s handling of the Grenfell Tower disaster descended on the offices of Kensington town hall before marching back to the scene. A second protest began outside the department for communities and local government in Marsham Street. 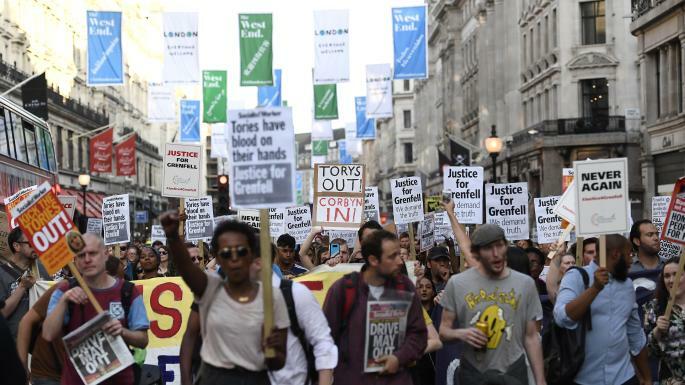 People then marched through central London chanting “justice for Grenfell”. The Grenfell Tower fire occurred on 14 June 2017 at a 24-storey, 67-metre (220 ft) high tower block of public housing flats in North Kensington, west London, England. Police has confirmed that 58 people who were in the Grenfell Tower on the night of the fire are missing and presumed to be dead. The number may increase according to the police. The protesters are seeking a list of demands which has been given to the council. The list includes immediate re-settlement of all the victims of Grenfell Tower fire within the borough, immediate release of funds to cover costs of welfare and all losses suffered by the victims, and launching an investigation into the recent refurbishment project of the tower. They also ask to release full list of victims of the tragedy, and commission investigation into all other similar buildings in the borough to identify fire. 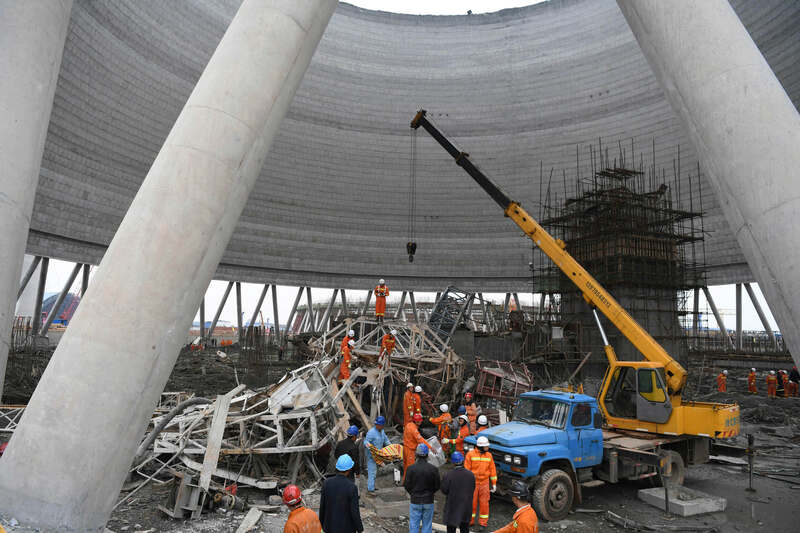 The death toll from the collapse of scaffolding at a construction site in eastern China rose to 74, state media said. It is the country’s worst work-safety accident in over two years. The incident happened at the Fengcheng plant in Jiangxi province yesterday (24th) at around 7 a.m. local time. About 500 rescue workers, including paramilitary police officers, dug through the debris with their hands, according to state broadcaster CCTV.